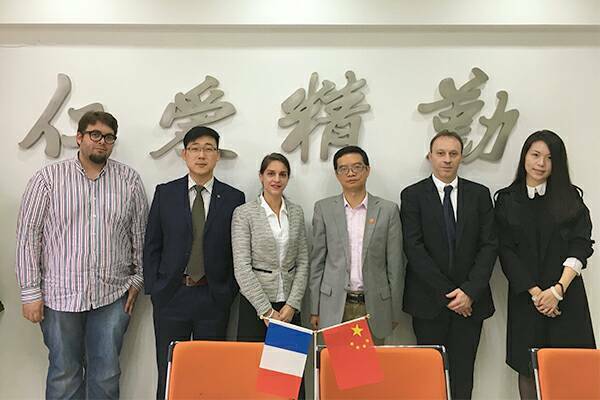 The delegation of Wuhan center of French Higher EducationDepartment met with Tang Cunzhong, vice director of the office of InternationalExchange and Cooperation, and other representatives of HNU. They had a warmdiscussion on how to deepen the exchanges and cooperation between HNU andFrench universities. Camille BRUNI pointed out that in addition to introducingnew team members of this center, the main purpose of this visit was discussingthe further cooperation. On behalf of the center, she warmly invited French studentsof HNU to join students’ party whose members are coming from Hunan, Hubei andJiangxi province. Teachers and students of HNU were also invited to attend ‘‘Frenchuniversities’ fall meeting in 2016’’ held at Optical Valley Huamei Hotel inWuhan on Oct.25. 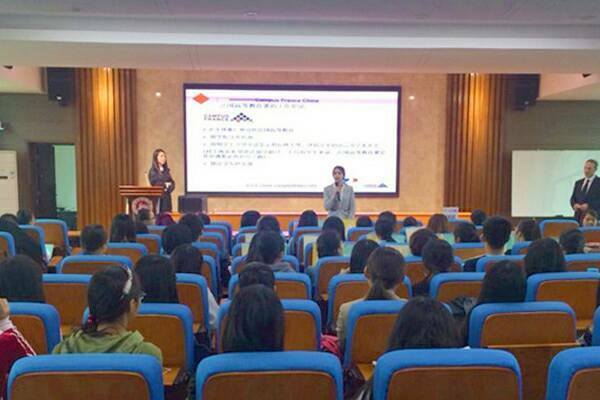 At that time, people from 30 famous French universities wouldbe present and introduce French education to Chinese society. The two sides also discussed the projects about 2+2 jointdegrees and Chinese-foreign cooperation in running schools. Because lots ofundergraduates of HNU from economy, law, management, literature major, etc, cameto France to get master’s degree at their own expense after graduation, the twosides agreed to broaden cooperative areas to make it convenient for students ofHNU to get public money from French partner and scholarship. Camille BRUNI alsopointed out that the exchange between HNU and French universities of art designwould be achieved. Later, the French delegation gave a lecture named ‘‘amajor choosing for domestic French-learning graduates to study in France’’ tostudents of HNU in College of Foreign Languages. Camille BRUNI was accompanied by Erwann GUEGUEN, directorin Promotion and Study Guidance Department, and Yu Shanshan, assistant ofPromotion and Study Guidance Department.